When you need insect removal in Prestwich, look no further than Pro-Kill Environmental. 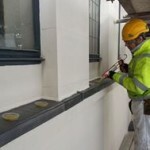 For assistance with professional bird proofing in Altrincham, speak to Pro-Kill Environmental. If you need top-quality vermin control in Blackley, contact the specialists. We specialise in all types of insect control in Prestwich. Our very experienced team can handle any type of domestic pest control in Stretford. Protect your premises and the health of occupants with pigeon control in Oldham. You may want to consider bird proofing in Manchester if pigeons and other birds are becoming a nuisance. Pro Kill Environmental offers quality insect control in Heywood. Speak to the specialists about pigeon control in Altrincham if these pesky creatures are causing a problem. We have heard it said our homes are habitats for bugs so domestic pest control in Crumpsall is critical if we don’t want our home colonised.